Finding a dead body in the utility closet of your hotel and fudge shoppe is startling at best, horrifying at worse, but would it make you scream? On television they always scream. What does it say about you if you don't? Hi, Allie McMurphy here, and this is what was going through my mind when I stumbled onto Joe Jessop's lifeless body. Let me start from the beginning. My family has owned and run the Historic McMurphy Hotel and Fudge Shoppe on Mackinac Island, Michigan for over 100 years. My father broke from family tradition and became an architect. I was raised in a Detroit suburb but spent my summers on the island where no automobiles are allowed. My Papa Liam instilled in me a love for both the island and the McMurphy. I always knew I would take over the family business one day. I had hoped Papa would be here to help me, but he went toes up or rather face down in the senior center six weeks ago. Now I'm left to figure things out on my own. The first thing I figured out was that screaming or not screaming doesn't matter if there's no one there to hear you. Luckily I'm not alone for long. 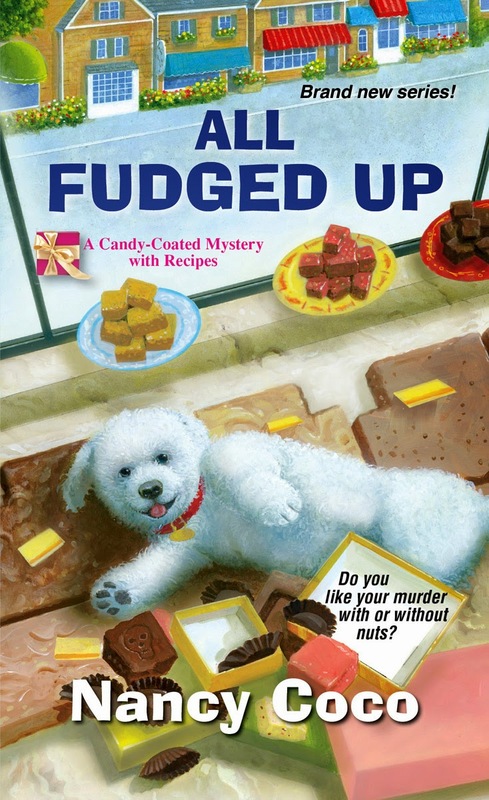 Soon I discover a group of good friends, a handsome police officer and a sweet bichon poo puppy all willing to help me solve a mystery and taste test my fudge. All Fudged Up is available now! 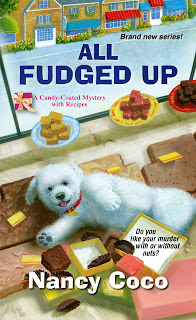 Enjoy solving a mystery and trying out the fudge recipes included (just in time for the holiday season). Butter an 8x8x2 pan. Then line with wax paper or parchment. Boil together sugar, milk and butter for approximately 8 minutes stirring constantly. Place candy bars and chocolate chips in a large bowl and pour sugar mixture over candy. Beat well. Add Marshmallow crème and nuts. Beat until cool. Spread in pan. Cool and cut into squares. I have no idea what evaporated milk is, can I use normal milk? Do you have to melt the chocolate bars first?